Conditions for IT contractors appear to be improving despite the uncertainty of Brexit -- or perhaps because of it, shows an analysis of 600 freelance techies by SJD Accountancy. The accountancy firm found that 8.7% of outfits hired more IT contractors over the last six months, compared with just 3.4% who were hiring more immediately after the Brexit vote. At the same time, fewer end-user organisations are leaving contract extensions to the last -- after the EU vote, 9.7% went down to the wire until they renewed, versus just 4.4% currently. 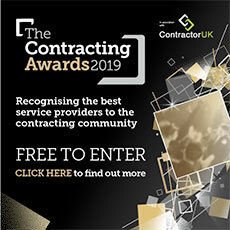 Further suggestive of end-users increasingly wanting to 'lock-in contractors, said SJD, the average duration per IT contract has increased since the UK’s ‘leave’ vote. Specifically, the 600-strong poll of IT contractors shows that 31.2% of respondents are on contracts lasting 12 months or more, against less than a quarter who said the same last year. And the pay picture seems to also paint end-users as wanting IT contractors to stay put, because they are willing to stump up the cash -- or not cut into it as much -- to avoid going without the skills they need, as they were all but recommended. In particular, while the proportion of contractors whose rates are upwards is largely unchanged (about a quarter), the proportion whose rate has been cut has shrunk, albeit only marginally. “The initial shock of the Brexit vote led to some panic layoffs but many organisations have since upped their quota of contractors”, said SJD’s chief executive Derek Kelly.